VetShare was founded to create a buying group that truly serves the needs of independent vets. Previous owners, Wayne and Ruth Gray had recognized as practice owners themselves, the pressure that was upon independent practices to deliver and sustain a fair and competitive service to clients that didn't impact upon margins or take them away from running a practice. However, they didn’t want to join a buying group with overblown fees and hidden costs – which was all they could find. So, VetShare was created: a straightforward, fair vet business group which puts the requirements of its members above all else. We believe the best way to support members is to keep things simple; getting great discounts and passing them on to our members. You pay us a straightforward and modest monthly management fee which is far exceeded by the extra discounts you’ll enjoy – and if you’re not getting the results you want, have a chat to us and we’ll see what we can do to help further. Discover more about what makes us different. Discounted products and services – When you’re busy running a vet practice, it’s hard to find the time to negotiate costs with suppliers – especially if you’re ordering in small quantities. This is where VetShare comes in. We use the wholesale buying power of our membership to get better prices for everyone. Simple paperwork – Each month, you’ll receive a statement listing spend and rebates in an itemised list, for easy reference. Savings summary – We’ll provide you with a big-picture view of your savings. Regular updates – You’ll hear whenever a new supplier or discount becomes available either through our monthly newsletter or member portal. Reliable cash flow – When you’re owed rebates on supplies, you’ll get them from us when promised – even if we haven’t yet been paid by the supplier. Great communication – If you have a question, or want advice, we’re always easy to reach – and we’ll strive to find solutions to your queries. Find out more about our member benefits. 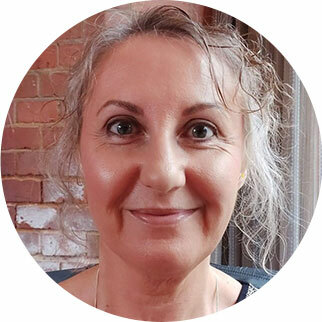 Anita has worked in the veterinary sector for over twenty years, as a VN originally but has extensive knowledge of the industry and so is well placed to co-ordinate our offering to members. Each member practice is allocated an experienced account manager who can help you capitalise on membership benefits. Using purchase data analysis and our accurate records we can make recommendations on suppliers or products that will enhance your margins and profitability. You can find contact details for your territory manager on our contact us page - simply click here to see our new map.